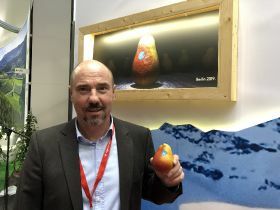 A new firm-fleshed variety of pear called Fred has been launched in Switzerland with hopes it might solve some of the problems the pear supply chain commonly faces when it comes to transport, storability and consumer convenience. It is hoped that the "apple-like" variety, which is now available in small volumes at Swiss retailers, will slow a decline in pear sales in the country, where pear consumption has fallen from 6 to 3kg in the past 20 years. Bred by Swiss research institute Agroscope and marketed by Varicom, the new pear boasts a rapid start of production, high productivity, resistance to fire blight, a long shelf life and, importantly for exporters, good transportability. Fred’s firm pulp and relatively thick skin will hopefully make it easier for consumers to carry and eat on the go without the fruit being damaged. The fact that the lightly acidic variety is juicy but doesn’t run also makes it more convenient in this respect. 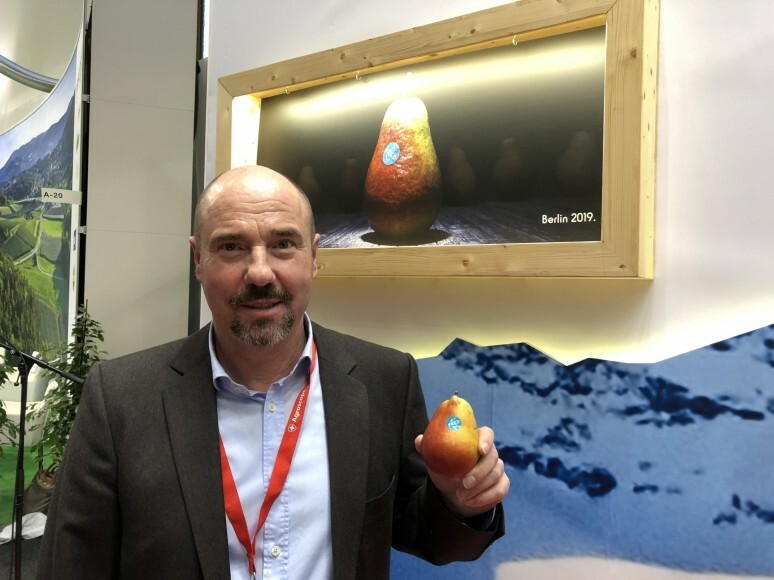 “We started to think what kind of problems we have in pear production, pear trading and pear consumption,” said the new variety’s breeder Danilo Christen at Fruit Logistica in Berlin, adding that he hopes the variety will allow consumers to think differently about the fruit. “The main challenge now is to inform the consumers – they have to change their habits and think, okay, I can leave the pear for one week on the table at home and I don’t have to eat it straight away. The result of 18 years of plant breeding, the new cultivar is a cross between the Harrow Sweet and Verdi varieties. It is currently being tested for production at 30 locations in 11 countries and has already been registered in a number of countries including Switzerland and the US. To start off, Fred will be available in small volumes from Swiss retailers such as Migros and Coop, with full commercial volumes not expected in Switzerland until around 2025. Sales could then extend to other European markets. Production will begin in France and then spread to the Benelux countries, Germany and Italy, said Varicom’s managing director Michael Weber.